That looks much better. Where did you settle on the fan max speed. 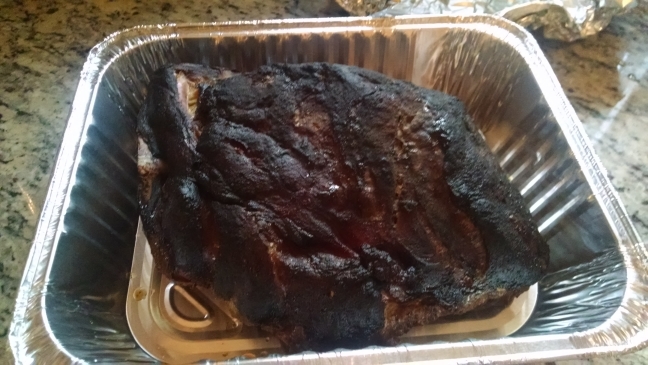 From all my years of using a blower on my UDS, 8.4cfm seems to be the magic amount of air into the smoker. Last edited by SteveCK; 09-19-2015 at 07:28 AM. Let me know if you need anymore testing stateside! I'm in the market of choosing a fan damper design and like what you have to say about your design. RWilloughby, you are in luck I have a spare one. PM sent! I too would like to test this out. I don't need a freebie, I'm willing pay for it, including shipping. Let me know if you can, I'm in Illinois. Just built my first hetermeater, and this looks like a perfect choice. Anything left for a soldier stationed in Europe? PMs sent. You, soldier, have officially taken the last prototype. Update on Kamado testing using the cheaper Bi-Sonic fan... I've run a couple low slow tests, so far it looks like this setup should work just fine. Playing around with some PID settings and fan speed settings to get it dialed in. The real test is going to be if this fan can achieve high heat. Last edited by SteveCK; 09-19-2015 at 02:26 PM. It'll be good to see how this holds up during the rain and freezing winter temps. I did some more testing today on the Akorn. I ran 4 tests today and couldn't get it dialed in. The results I was getting from small changes to the PID didnt seem to make sense. Turns out all day i had been running tests with the servo orientations setup for a prototype MicroDamper I had shipped to someone. Facepalm! So today was a total waste! I noticed today (thanks to this forum) that Walmart is starting to discount their 14.5 WSM, so if my local one drops it to $100, I'll pick one up and getting playing with that as well. Last edited by SteveCK; 09-20-2015 at 03:32 PM.